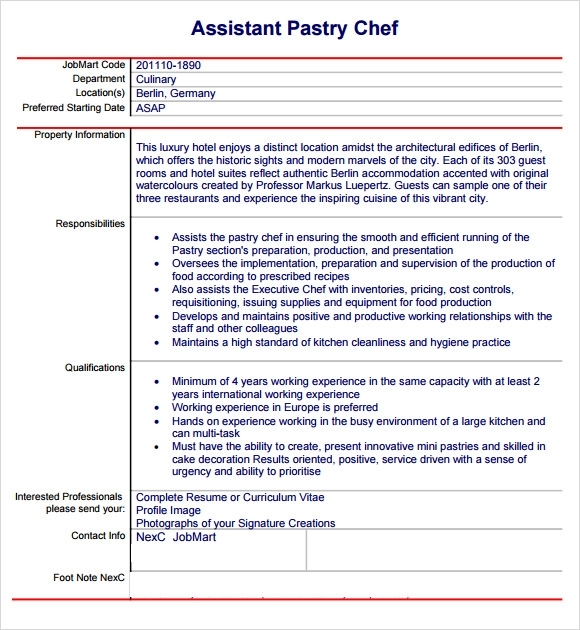 If you love cooking and looking for a job in the world of cookery, start preparing yourself right from this moment! 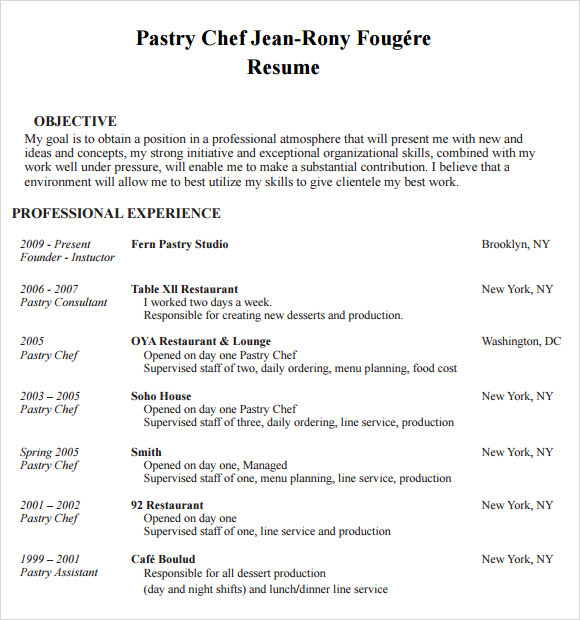 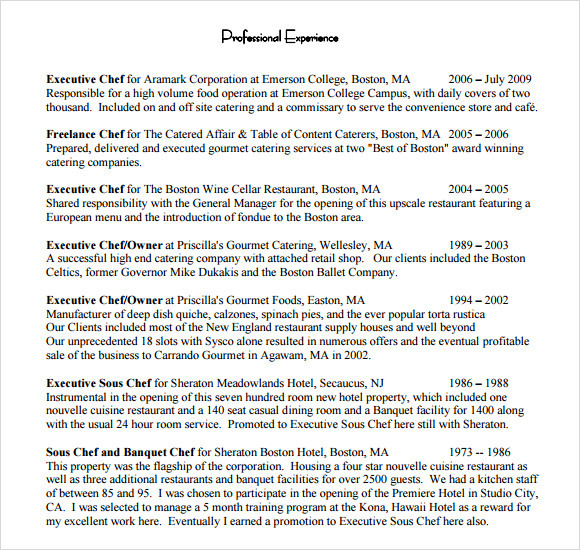 The first step should be concentrated in creating a Basic Resume which can be applicable for any type of jobs. 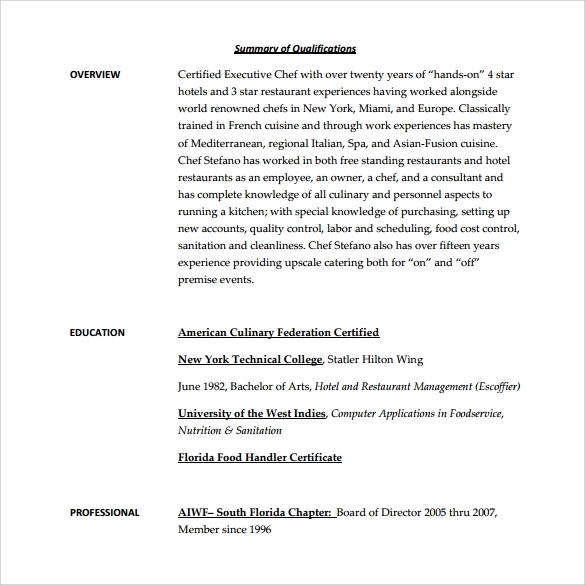 The different Sample Resumes available for download can actually help you guide to create a CV of your own. 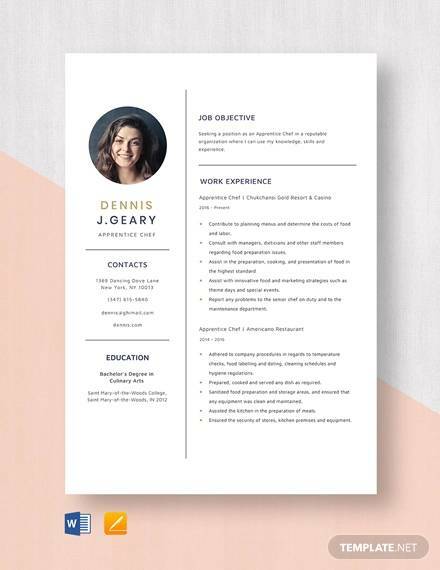 Make sure to mention all your work experience and achievements to list it on the template of the resume. 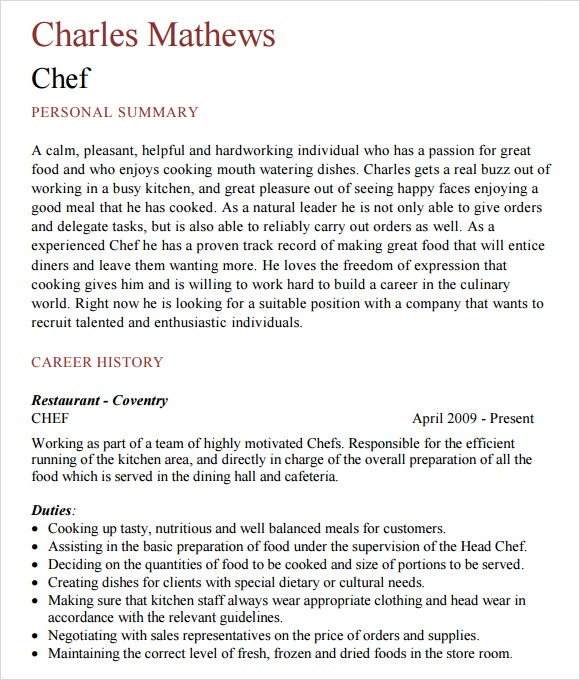 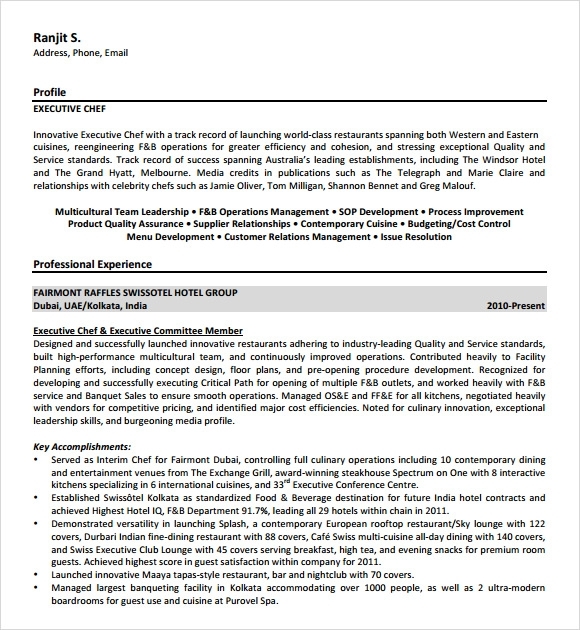 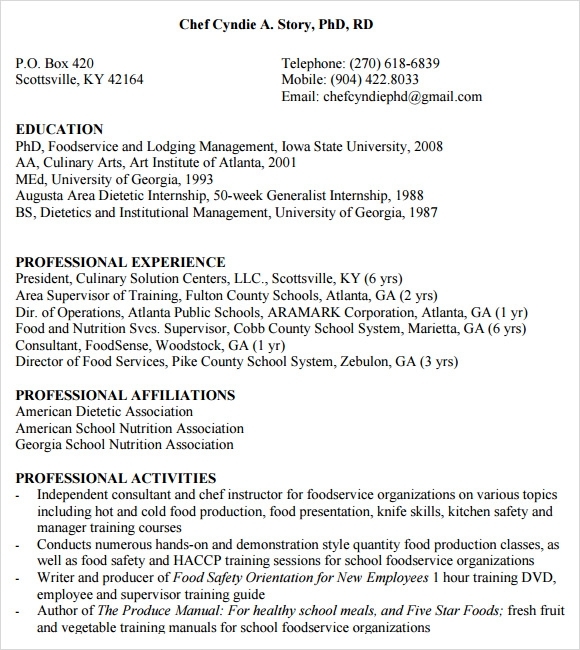 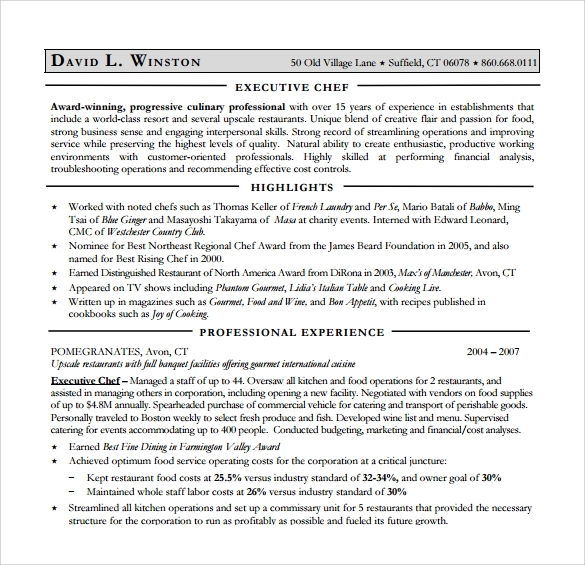 The examples of the resumes can be easily edited on MS word and you are free to include all the desired changes that you wish.